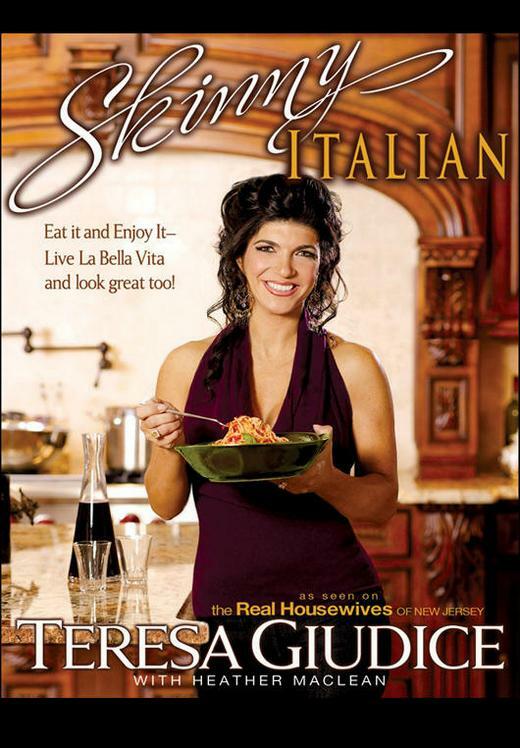 New Jersey housewife and first generation Italian Teresa Guidice recently published her own cookbook featuring the authentic family recipes she grew up on and owes her figure to. With splashes of her personality and tons of healthy cooking tips filling the pages, Skinny Italian is more than just your average cookbook, it’s an “eat it and enjoy it” book. Below is a statement from the Skinny Italian herself on why she wanted to share her family recipes with the world. Leave a comment on the Lady and the Blog fan wall saying why you love the Real Housewives. No purchase is necessary. Contest Will Run for 3 Days. One Entry per person – USA residents only. The Odds of Winning are dependent on how many entries we receive. Winners Will Be Chosen Randomly and notified via email. The prizing for this giveaway was provided by Bravo. Bravo is not a sponsor, administrator or connected in any other way with this giveaway.